Magenta STYLE in the house! So, the snow has been delivered, the store is decorated and some pretty amazing product is on our shelves....just in time! 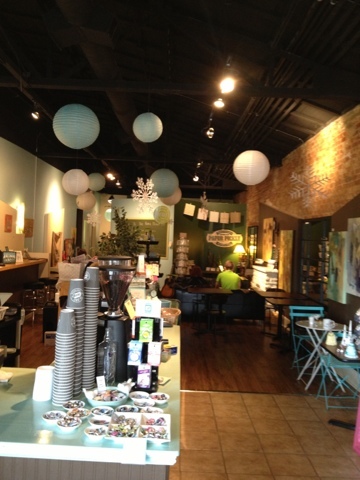 I am SO excited to be hosting our FIRST Christmas Open House in our NEW location - inside Dekoko's! Join us from 12-4 today. Sarah Hiltz will be here with her sweet voice. Enjoy an afternoon of mingling and take care of a couple of things on your wish list! You know your husband or kids NEED your help! 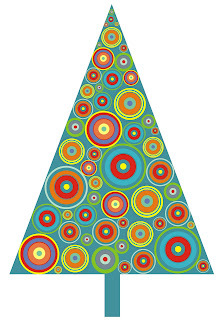 The Paper Pickle will be celebrating the season by giving away $25 gift cards. For every $100 spent before taxes, receive a $25 gift card from us! We will also have a door prize draw going on. Receive one ballet for attending and receive a second ballet if you brought a friend with you! 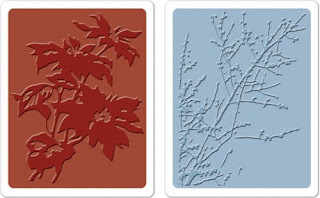 Tim Textured Impressions Embossing Folders! 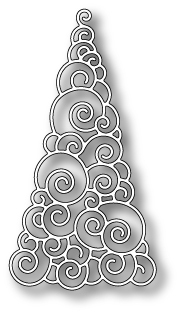 Sizzix - Textured Impressions with Basic Grey Designs. This is cool. 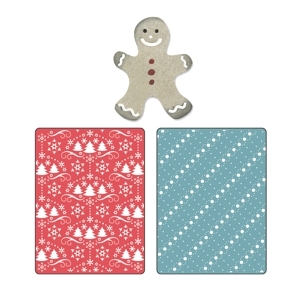 You get two embossing folders and one die for $11.99! Do I say this all the time....I'm in LOVE! These Prima Mixed Media Journals are gorgeous! 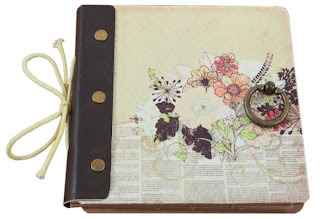 Prima Mixed Media Journals with leather spine, kraft pages, canvas cover....SOOOO good! The store is just jam packed with paper goodies. I hope you can pop in today to have a look for yourself! Oh MY! 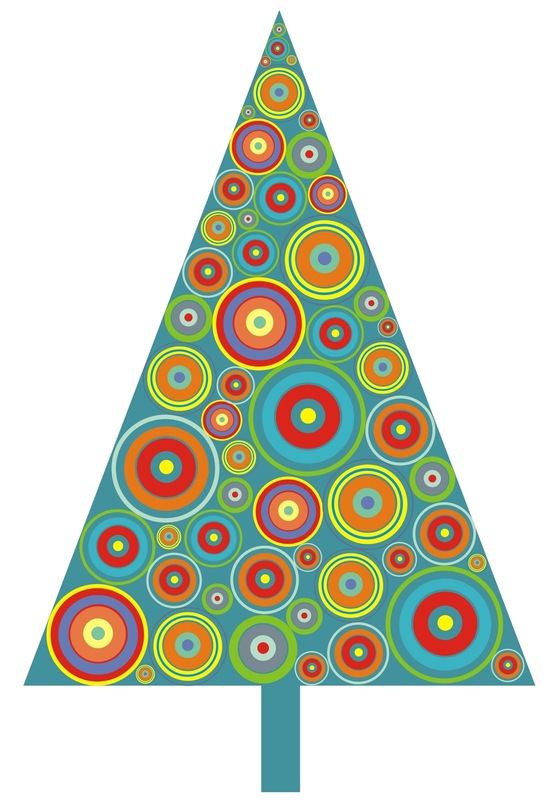 The Christmas Open House is TOMORROW! I hope you can join us on Sunday, November 25th from 12-4 in our NEW location inside Dekoko's. Sunday ONLY, spend $100 (before tax on in stock merchandise) and receive a $25 gift card! 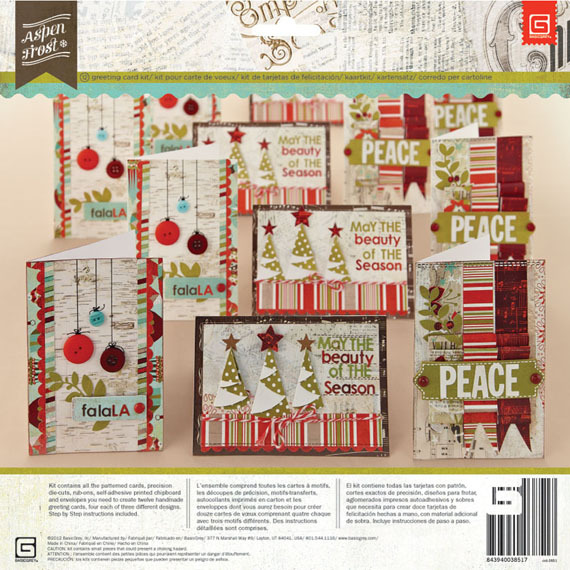 What a great time to pick up some Spellbinders, paper packs or how about a Big Shot! There will be samples of Dekoko's goodies this year! OH and I am SO excited! A HUGE, like MASSIVE order arrived yesterday! I had to track it down (long story but UPS had rescheduled it to Monday and I would have nothing to do with that!) but it is in and there are SO many new goodies. I will have to fill you in later as I am rushing to get all of us out the door for 9am! 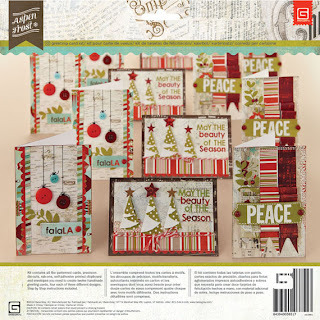 Here is one of the items in the order...... the Basic Grey Christmas card kits are back in stock!! I promise not to sell yours this time, Leah! Oh....ok. Just one most teaser.......how about Authentique paper pads and Tim embossing folders!! The Paper Pickle & Dekoko's first Christmas Open House together! Visit us from 12-4pm Sunday, November 25th....yikes! That's one short month (exactly) until Christmas. Christy and I were busy last Sunday decorating the store together! Notice how we moved right and decorated using our gorgeous paper lanterns and snowflakes. You will also recognize other special decorations throughout the stores. Have I told you what a good roommate she is?!? She even let me share the mezzanine with her! We fit right it with Christy and her uber cool sense of style! 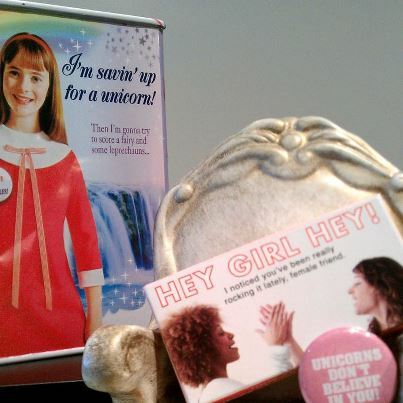 You have GOT to check out her hilarious tin banks, gum and pin-back buttons! Notice how even the cops are keeping an eye on what we are doing these days! So you guys were probably wondering what I would be carrying in the new store. Wondering if I would keep it fresh. Well, as I have said, I plan to bring you the latest in paper crafting products. I only bring in product that I like and I hope you like some of these new things too! You may want to grab a pen and paper and start making your Christmas Wish List!! I will just point out now that this may be my new favourite line. Love the colours. Love the designs. And check out the must have embellishments. It takes me back to when I was a kid and my mom use to sew all the time! I went a little light on this line (did you see everything I brought in above!). This 6x6 pad is so pretty. If anyone is looking for anything else Serenade, please let me know..... It would be my pleasure to bring it in for you! 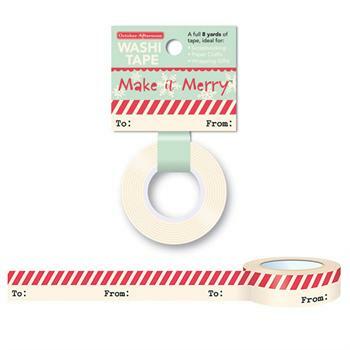 This is just about the cutest and easiest way to make your Christmas cards this year. 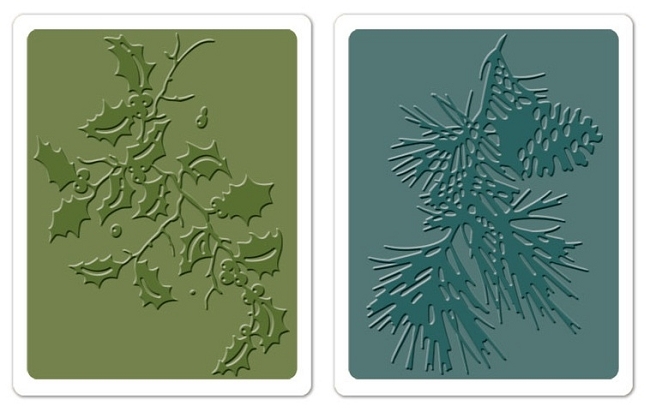 Twelve cards in total - three styles. Adorable. All for $14.99? You can thank me later for making your life easier! 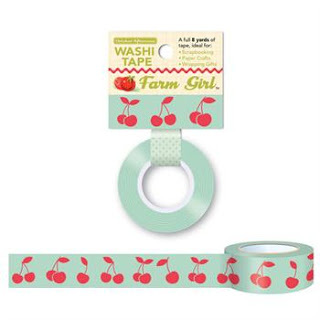 A few people have been asking me to bring in washi tape. 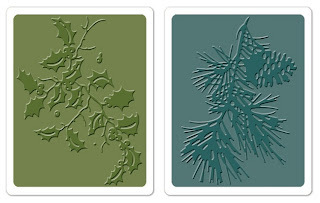 Well here are three styles for you.....use it like ribbon or seal an envelope in style. 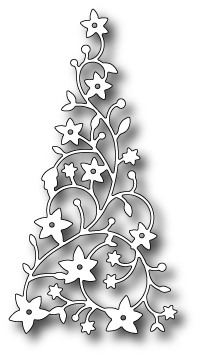 More to come including Christmas designs! 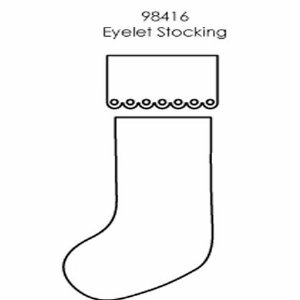 I wouldn't mind if Santa filled my stocking with these goodies!! Memory Box dies are coming in slowly but surely. Here are some of the styles that are in store now. Any of you looking for the window, unfortunately we are still waiting for those to come in....so sorry. SO what do you think? Did I "do good"? Why don't you stop in tomorrow and check some of these things out in real life? Yes. It IS Wednesday and the store IS open! So last Thursday was THE coolest day ever! 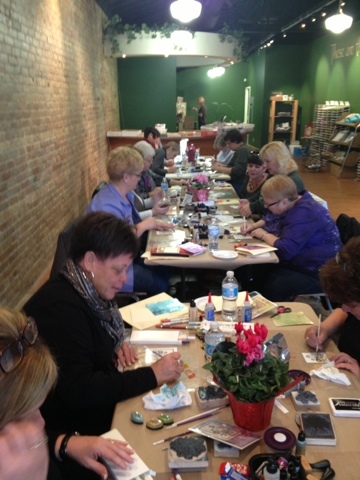 As you know, Nathalie of Magenta was here to teach two SOLD OUT classes! It was truly a dream to have her here. Such a wonderfully charming woman. When she left, she gave me a hug and said "I miss you already." Ahhhh.....I told her she and her adorable husband, Philippe ("my hero" is how she referred to him throughout the day!) were welcome back anytime. Pictures of the ladies working hard in the class. You will notice the class was in our "old place". Looks a little bare but the women filled the store with love and laughter that day! 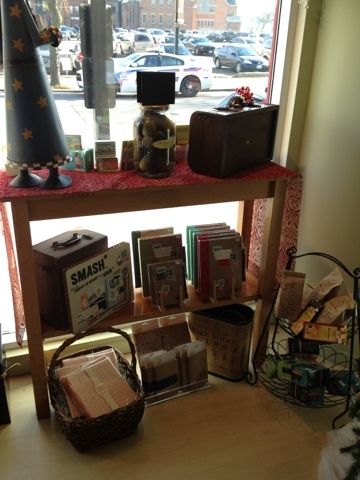 Our counter provided the perfect space for the trunk show! Look at all those stamps! 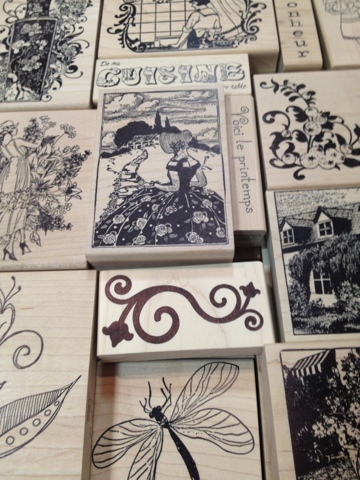 Here are some of the gorgeous wood mount stamps Nathalie and Philippe brought for the trunk show! That reminds me....we have an order being processed by Magenta. 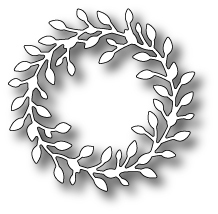 If anyone needs anything, please email me at my NEW EMAIL address thepaperpickle@gmail.com and we will add them on. Remember I am no longer carrying stamps (although I was tempted on Thursday to bring them back!). Please email no later than Tuesday at 11pm in order to get in on this rare opportunity! I am proud to announce that The Paper Pickle will now be open Wednesday, Thursday and Saturday! I know many of you were hoping I could be open a couple of week days. And what do you know? I listened! This is what we are going to try for now....and again, I really appreciate your patience with me as I figure out my new schedule! I hope this will work out a little better for everyone. Please keep the suggestions coming too. I appreciate the feedback I am receiving. It is my goal to provide you with coolest product at the best price while running a store that you are proud to call your local paper craft store. Today is THE day! A day I have been waiting for...for like ever! 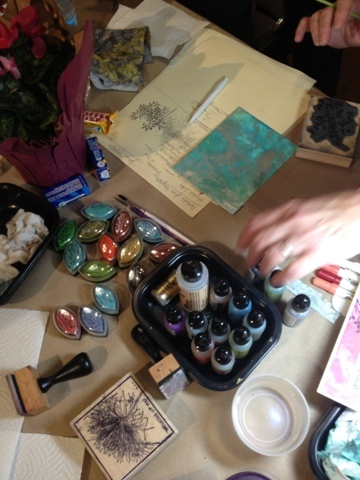 We have the VERY talented Nathalie Metivier here from Magenta Rubber Stamps! 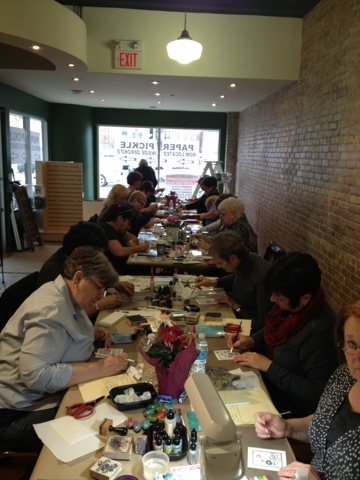 Two classes are running today in the old location (44 Fourth Street Unit 3) to a SOLD OUT group. 32 lucky ladies are in for a TREAT today! I don't want to spoil the surprise, but you will be thrilled that you signed up for this class!! I will be running around helping with the class but anyone is free to stop into the store today for a little shopping! 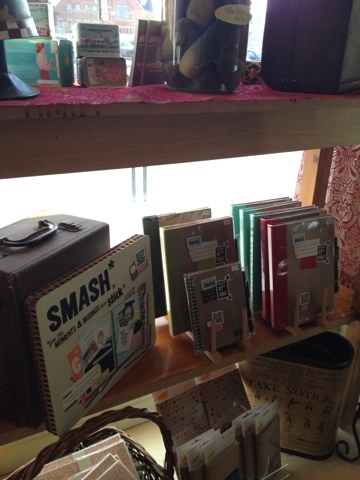 You can check out the NEW store (44 Fourth Street Unit 1 - inside Dekoko's) and maybe pick up some new and dill-icious paper products! 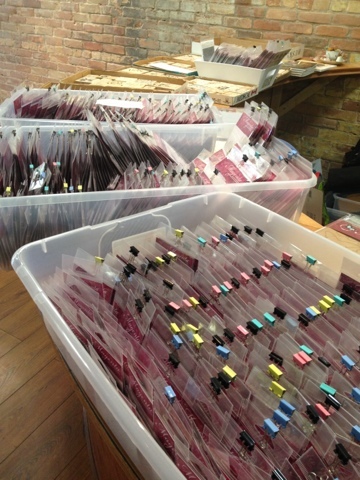 We have lots and lots of new product that has arrived over the past month, with more on the way! I will be there from 10am-5pm and then again from 6-9pm. Hope to see you soon! PS...We will be making a very exciting announcement at tonight's class. I will fill the rest of you in tomorrow via blog post!